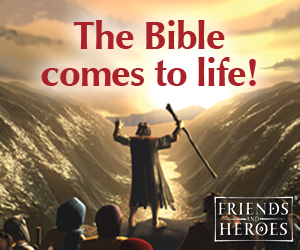 This is the third lesson in "The Christmas Story" Series of 5 Lessons. 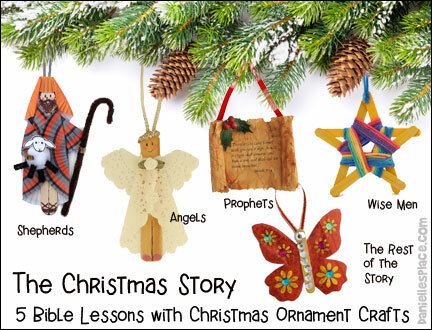 In this series of five Christmas lessons children make Christmas tree decorations that will remind them about part of the Christmas story. 2. 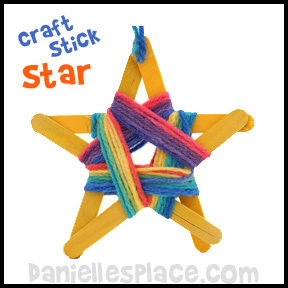 Glue the sticks together, one at a time, until you finish the star. 3. Glue a ribbon loop to the back of the star so you will be able to hang in on your Christmas tree. 4. To finish wrap yarn around the star or add sequins and other decorative items. 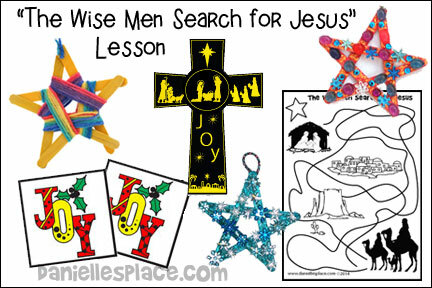 Children color the picture and then follow the lines to find out which direction the wise men went. This craft is very simple and takes less than ten minutes to complete, but the results are amazing. Children cut out the cross and paint it with oil. The oil makes the paper translucent. Add a red ribbon to the top to hang to a Christmas tree. Before class place a huge star covered with aluminum foil in one corner of the room hanging from the ceiling. In class have one teacher sit in the corner of the room underneath the star holding boy doll to represent Jesus. Have the children dress up as wise men. 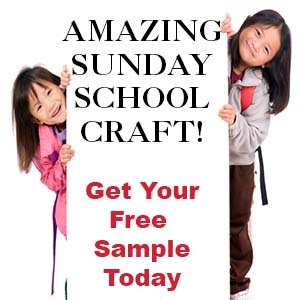 Have another teacher guide the children around the room carrying their gifts for Jesus. The teacher can explain that they know which way to go because a bright star is showing them the way to Jesus. When the wise men reach Jesus they bow down and worship him and leave him their gifts. If you have older children, you can add more to the story. Have the wise men ask different children if they know where the "King of the Jews" is. You can also have a king that asks the wise men to come back and tell him where the find the "King of the Jews". 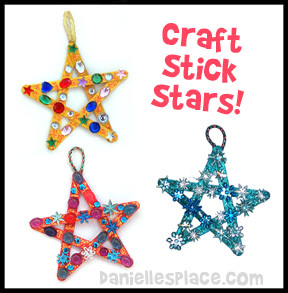 Before class cut out star shapes from thick paper and write the Bible verse on the stars, one word per star. Also write a number next to each word so that when you place the cards in order by number they will reveal the Bible verse. Place the stars face down on a table in front of the children. Before you start the game say, "The wise men looked for Jesus and found him. They followed a star. Did you know that Jesus wants you search for him? He said, ' Ask, and it shall be given you; seek, and ye shall find; knock, and it shall be opened unto you:' (Matthew 7:7) How can we seek God today? We can read and study his words in the Bible. And we can pray and ask him to help us find him and know him. Now we are going to play a game and seek his words. This will help us to know Jesus a little bit better." Have the children take turns turning over a star card. They must first find the card with the #1 on it, then #2, and then #3. Keep playing until all the cards have been turned over in order. Read the verse and say, "We have looked for God's word and found them. Now we know a little bit more about God." 1. Print out two pages each of the match cards. If you have younger children, use fewer cards. Use the picture cards instead of the cards that have words on them. 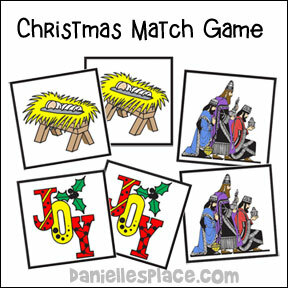 When a child gets a match ask him how the pictures on the cards relate to the Christmas Bible Lessons. Before class place some treats in a box. Make sure you have enough for everyone in your class. Wrap the box with many layers of Christmas wrapping paper. Tell your children that the wise men brought Jesus gifts to show him how much they loved him. We give gifts at Christmas to show others and God how much we love him too. Now we are going to play a game using a gift. Play like Hot Potato but have the children pass the box. Play some Christmas music and stop the music randomly. The child who is holding the box when the music stops unwraps one layer of wrapping paper and then sits down. Keep playing until all the wrapping paper has been removed. The child who takes off the last layer of paper gets to hand out a treat to each child. Play like "Follow the Leader" except have the leader hold up a large star on a stick. The leader should lead the children around and under tables and chair while jumping, sliding his or her feet, clapping, crawling, walking backwards, marching, swinging arms, twirling in circles, skipping, etc. The children should do exactly what the leader is doing. Let your children take turns being the leader and coming up with their own moves. Before class cut out a bunch of star shapes making one bigger and brighter then the rest. Tape them to the back of the chairs. Place the same amount of chairs in a circle as you have children. Play like Musical Chairs, except the child who sits on the "Special Star" chair gets to sit down at the table and eat his or her snack. Remove one chair and play again. Keep playing until you only have the "Special Star" chair left. Before class make star-shaped sugar cookies. In class have your children decorate the cookies with icing and Christmas sprinkles.